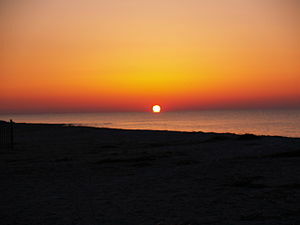 Edisto Island was where it all came apart. Can the Bennett girls ever be whole again? First, let me say I LOVE reading books about the South, especially South Carolina. I have family that live right outside of Charleston, and I have been visiting there almost yearly for most of my life. When I read a book set in Charleston, I get an extra thrill, because I know those streets, store, restaurants, etc. I also know the outlying islands, including Edisto. The author does a great job bringing the area to life. The story, of betrayal and forgiveness, works very well in the southern setting. Julia’s best friend Marney broke up her parents’ marriage in their senior year of college. Almost twenty years later, Julia is enjoying s successful career in art and teaching, and has just gotten engaged. Marney shows up at her door. Now a widow and the mother to Julia’s three half siblings, she has lung cancer. She needs surgery, and there is no one to care for the children during her recovery. 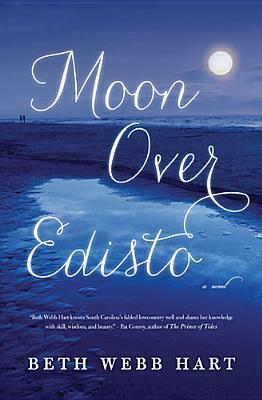 She asks Julia to return to Edisto to help her. The story is told from the points of view of different characters- Julia, her mom MaryEllen, her sister Meg, Jed-doctor and neighbor, and Etta, her nine year old half sister.The characters develop quickly and I became immersed in each of their stories, especially MaryEllen. She is still hurt by the collapse of her marriage and confused as to why both her daughters keep her at a distance. I thought this was well written and moved quickly. I received a copy of this book as part of a random give away through Goodreads. I enjoyed The Violets of March as well. I checked out your blog and am now following! I love the look of your blog! How long have you been posting? I have only been at it a few months. If there is anything I can help you with please let me know! Thanks, Kerri! I have only been posting for a few weeks. I am enjoying it a lot! It’s so great to meet other readers who blog about books. I am following your blog now, too. Thanks for your comment!